Sammy Nawali visited us just over a week ago. He’d come all the way from Nakuru in Kenya to see where the 500 bikes a year that support his charities were coming from. We were delighted to make is visit even more worthwhile, and we presented him with the 20,000th bike that’d been donated to Recyke y’bike. It’d been given to us by Jan Harrison from Gosforth. She was rather surprised at the fanfare her visit to our Byker workshop generated, until we explained that her donation was a significant milestone for the charity. Sammy runs an orphanage for nearly 200 children, a school for nearly 400, and supports a host of local businesses. 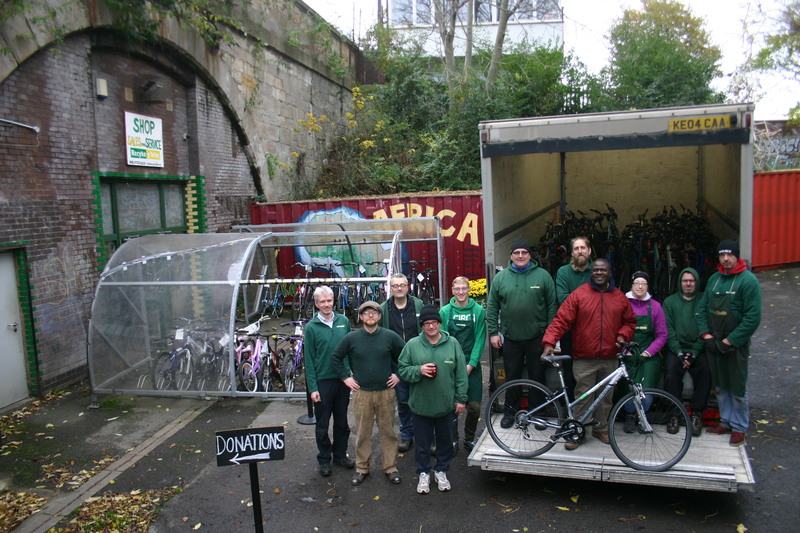 A key part of his work in rehabilitating street children is the trade created by bikes donated from the North East. If you’d like to help us to help people like Sammy and the people he works with, check out our Get Involved page!